A wonderfully detailed large gorilla soft toy made from the softest, fluffy black plush with tufts of auburn fur on top of the head and a silverback. As seen on the cover of Times 2, July 18th 2016 edition. Arrived as promised, good,no very good quality toy. 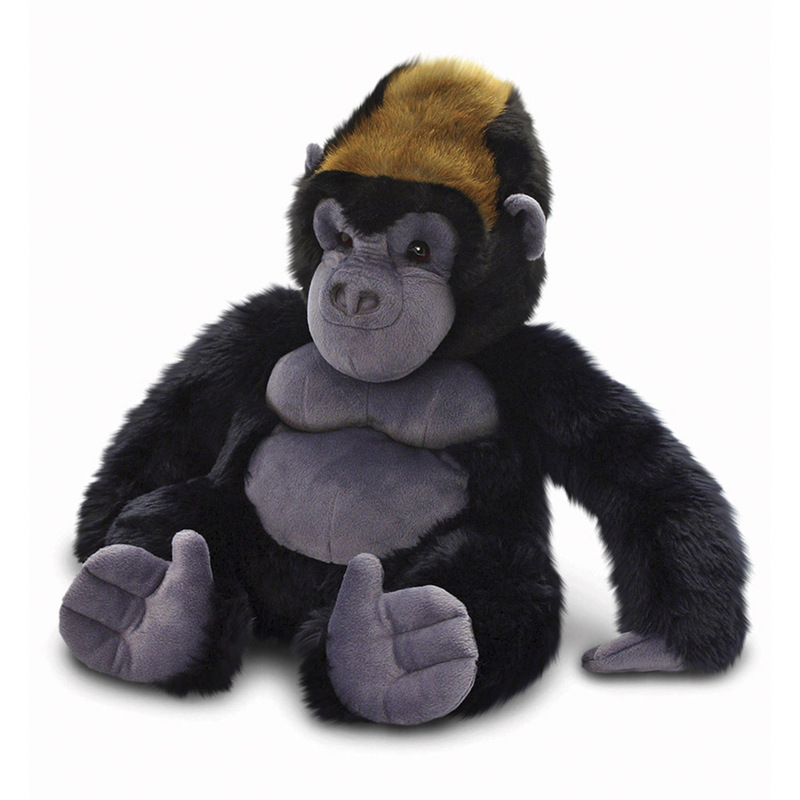 My five year old granddaughter will love it, she is keen to have a gorilla!